This is your special day, and it is our pleasure to officiate your beautiful ceremony that you, and your guests, will remember and enjoy. Over the past 9 years, Isabelle has been the wedding officiate in Asheville North Carolina and the area being Asheville and Leicester. As a non-denominational wedding officiant, she will work with you to create the exact ceremony that you want. We are always available to answer any questions – even if it is just about the area or other local vendors. We have lived in the area for 19 years, and have enjoyed providing memorable wedding experiences as an officiant and planner. Our team also includes a reverent. We would love to help you create your personal wedding ceremony to share with your favorite people on your wedding day. weddingOfficiant Services starting at $300. Isabelle our wedding officiant is available to answer your questions both before and after your wedding. We can direct your rehearsal, and will coordinate and cooperate with your other wedding professionals. Hire Isabelle as your Asheville wedding officiant in Leicester / Asheville, North Carolina at Fontaine Wedding & Events. 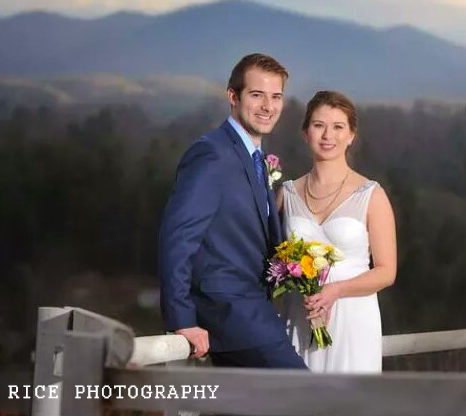 With Fontaine Wedding & Events you are entering a magical region in Asheville. Wedding officiant Asheville and intimate events for elopement weddings. Marriage ceremony receptions can take place at any venue of your choosing.